RARELY AVAILABLE, MOVE IN READY high floor two bedroom unit and den with spacious lanai & more! 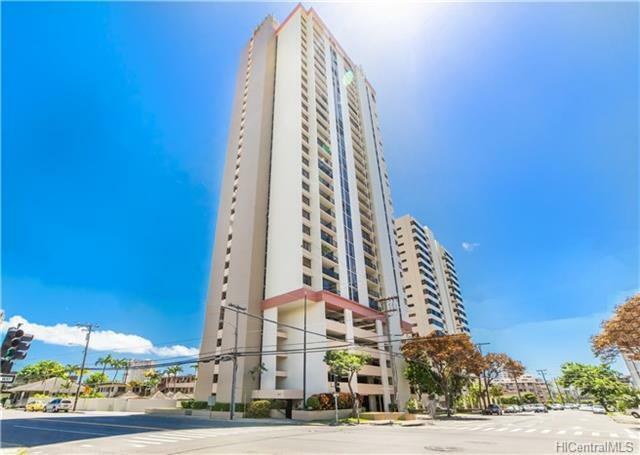 Building have pool area, & guest parking.This unit is conveniently located in the HEART OF MAKIKI ! Easy to access freeway, minutes from bus lines, 10 minutes from Ward Village, Ala Moana & Ala Moana Beach. MOTIVATED SELLER!! !